Our house was completely renovated in 2014 and is on 110 m² for max. 8 persons. The entire house is a Non smoking house. Smoking is permitted in the garden. Please understand that pets are not allowed here. Wi-Fi is available free of charge. Front of the house there are free parking. - 1 garden with lawn, garden furniture, barbecue and garaging (shed) for example. 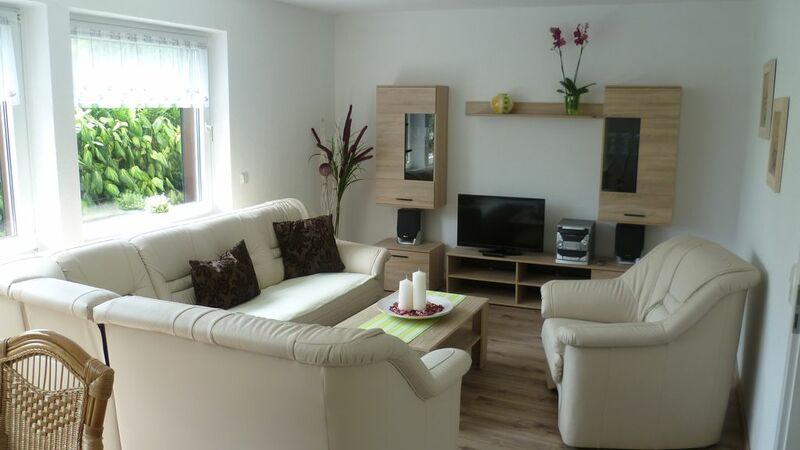 Spend in our modern and equipped with all comforts Rental relaxing vacation in the over 800 year old floral town of Blankenburg (Harz). Our house is located in Jendral Oesig district - about 3 km from the city center. In the immediate vicinity is the monastery Michael Stone, an old Cistercian monastery. You can also explore the Romanesque Road and the Harz nature on beautiful hiking and biking trails as well as art, culture and music. Also in close proximity to our house is the Teufelsbach specialist clinic. The easy access to the main road B6n allows you an uncomplicated journey to us. We cordially welcome you to your relaxing holiday in the Harz!